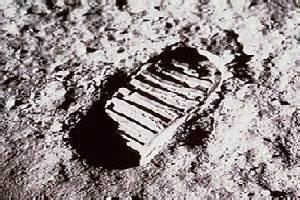 A man stepping onto the moon—are you old enough to remember that day? If not, you may be weary of hearing about it. You may not know that what made it profound wasn’t merely the science or the new technology that would open so many new doors to understanding. Of course, we were all thrilled to think that a person—a living, breathing person—had arrived on a place that had shone like a grinning deity over all earthly progress since our home was a molten ball. It was as though an ancient, impossible myth had come true. Many were secretly hoping to hear about the discovery of green cheese or maybe burrowing monsters. Some refused to believe it had happened at all. Part of the profound, soul-quivering reality was that nearly every human being on this earth was watching on television, holding his or her breath. We could sense ourselves as a gigantic community. We were all so terribly afraid that the epic story was going to have a bad ending. We were all so terribly proud that human beings had conquered the puzzles of traveling beyond our earth. We knew the achievement had happened because people all over the world—friends as well as official enemies—had contributed bits of new information and new ideas. We were all immensely proud to be human. It was a moment of universal kinship that had never happened before—and hasn’t happened since. These days as separate populations around the globe focus on what’s different between us and who has more or less than someone else, young people can’t conceive of everyone feeling like family. Even when geneticists tell us we all share common DNA, that our membership in the single human family is no longer a question but a certainty, many people are able to ignore that fact. We still gape at skin color or religious doctrine or material resources or arbitrary lines between our communities and think we’re seeing something important. We focus on fear and resentment. We harden our feelings. We embrace competition as inevitable. But for that one day long ago, we remembered that people aren’t so different, after all. We’re on the same starship and on the same journey. Our hearts beat a little faster—as one beating heart—for just a moment. When can we ever feel that again? This entry was posted on July 26, 2014 by Personal Journeys with Gramma in Life Stories and tagged Achievement, Community, Family, featured, Humanity, Impossible Myth, Journey, Life Stories, Man on the Moon, Oneness, Togetherness, Understanding, Unity, Universal Kinship.